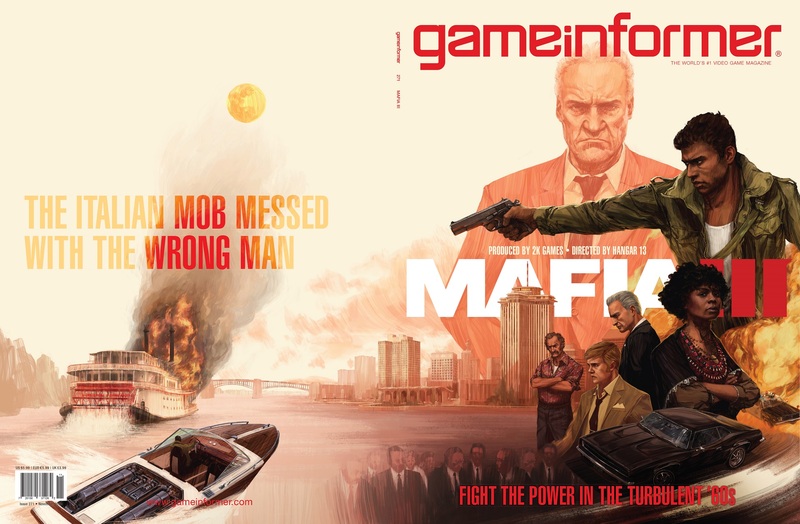 Game Informer revealed that Mafia III is the November cover story. In this issue, you’ll find 12 pages of insights, team interviews and a closer look at what is going into creating this fresh new take on the Mafia franchise. Here, you’re looking at the cover, but jump over to Game Informer right now for additional news and video clips. If you’re a GI Digital subscriber, you can download the issue today. Also, make sure to bookmark Game Informer’s Mafia III hub for more behind-the-scenes insights coming at you all month long. © 2016 TAKE-TWO INTERACTIVE SOFTWARE AND ITS SUBSIDIARIES. DEVELOPED BY HANGAR 13. 2K, HANGAR 13, 2K CZECH, THE 2K LOGO, THE 2K CZECH LOGO, THE HANGAR 13 LOGO AND TAKE-TWO INTERACTIVE SOFTWARE ARE ALL TRADEMARKS AND/OR REGISTERED TRADEMARKS OF TAKE-TWO INTERACTIVE SOFTWARE. THE "PS" FAMILY LOGO IS A REGISTERED TRADEMARK AND "PS4" IS A TRADEMARK OF SONY INTERACTIVE ENTERTAINMENT INC.THE RATINGS ICON IS A TRADEMARK OF THE ENTERTAINMENT SOFTWARE ASSOCIATION. ALL RIGHTS RESERVED.